We start with the essential question: What must we do differently to get each student into an elite university? In a nutshell, a student must demonstrate the ability to add unique value to a campus, both inside and outside the classroom, positively impacting peers and society as a whole. This is what we strive to develop in each student. 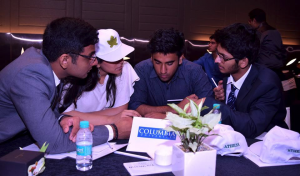 We then create an “Application Theme and Strategy” (ATS), which highlights the student’s unique value and specialized strategy for gaining admission into Ivy-League colleges. The ATS document is intended to differentiate students from other applicants, and is optimized for desired Ivy-League colleges. It serves as a guide for the remainder of high school. In our one-on-one sessions with students, we provide highly-personalized advice, a skill we have refined by studying the process intensely over the past years. Moreover, we have done it ourselves. The one-on-one profile building is combined weekly workshops, unique in their depth and breadth. The workshops systematically help students with every part of the process, from extracurricular projects to research papers to application essays to college interviews. Some build fundamental skills in creative and persuasive writing, essential in college application essays and elsewhere. This element, among others, is broadly missing in Indian educational contexts. The workshops are a unique offering of Athena, and provide a community of intelligent, sincere, and ambitious students that all inspire and motivate each other to greater heights. Often, students with complementary skills collaborate on projects, thereby taking their respective achievements to the next level of impressiveness. We also strive to develop students’ personalities, building their confidence and communication skills, enhancing their ability to interact effectively with peers and adults. The Personal Mentorship Program is divided into two years. Each year is an independent offering (1*). 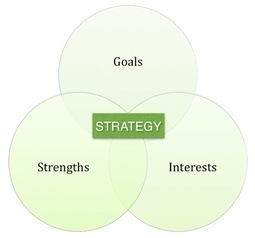 Personalized “Application Theme and Strategy” – strategic direction and support on projects for execution. 1* Given that most top four-year college programs are in the range of 1.5 crores, our program is a minor fraction of the price, and will maximize the likelihood that students enter the best possible institution, ensuring that students and their families derive the greatest possible value. The primary purpose of the 11th-grade program, especially the workshops mentioned below, is to provide students with the intensive inspiration and a practical roadmap to develop deeply meaningful extracurricular projects – projects that they love and look forward to, and which will also highlight their various skills when it comes time to apply to universities. We pay special attention to planning and executing summer activities, from competitive summer programs to internships to independent initiatives. In this process, by the time students enter 12th grade, they have a higher platform, on which we will build in 12th grade, resulting in a more impressive profile, so they stand out when it comes time to apply. In 11th grade, we will also drill fundamental skills, especially writing (see details of writing workshops below), essential for both humanities and science students, which is especially missing in most Indian schools. Recommendations on what standardized examinations to take and the optimal time to take them. We cover the fundamentals of the research process, which students apply not only in independent projects, but also in internships, conducting everything from systematic market surveys to analyses of website traffic. In the process, students learn to think more systematically and critically, which will serve them in the classroom and in other spheres of their lives. Students must note that we will help with both quantitative and qualitative projects. This is relevant even to students not interested in statistics or mathematics in general. We systematically inspire students to explore conceptual connections between subjects, a characteristics that US universities deeply value among applicants. This dimension is often absent in Indian curricula, and therefore we take steps to develop this unique thought process among our students. Again, this is a generalizable skill, which they can apply successfully in other endeavors. After all, the Ivy Leagues are “liberal arts” universities. We understand each student’s passions and interests and help combine various fields into a distinct liberal arts extracurricular project for each student. Leadership is highly valued by admissions officers, since leaders bring the best out of themselves and others both in and out of the classroom. This is the case regardless of whether a student wants to major in the sciences, social sciences, humanities, or engineering. Athena will guide students as they create an unique organizations, clubs, or initiatives. Communication is an essential skill in this day an age, and a substantial fraction of communication is written. From e-mails to Extended Essays, students must present their ideas in a logical and artful manner to inform, persuade, or entertain readers. The writing skills workshops will prepare a strong foundation for writing college application essays. Furthermore, we consider an assortment of summer programs for each student, which will give them additional knowledge and skills for their subject of interest, further differentiating them relative to their peers. We have an extended database of such summer programs, and advise students accordingly. 11th graders must reapply for the 12th-grade program. Preference will be given to students enrolled in the 11th-grade program. The “Application Theme and Strategy” is intended to differentiate students from other applicants, and is optimized for Ivy-League colleges. For students who were also in the 11th-grade program, we will build upon, refine, and enhance their existing projects based on developments in their academic and extracurricular endeavors. We brainstorm, develop, and help students execute additional projects that are essential to showcasing unique value in their respective profiles. We think profoundly to highlight one or more characteristics of each applicant that almost no other applicant will possess. The Athena Team considers a range of factors, from a student’s SAT/ACT score to his or her intended major to his learning style, all of which play a role in shortlisting universities. In addition to the engaging group workshop mentioned above, which will provide a lot of creative content for students, we will also work in an intensive 1-1 fashion with each student on the following essays. This is by far the most important essay, for it is the essay that will be submitted to nearly every university. It must be personal and powerful, well crafted to create a memorable impression on the admission officer, who will be reading thousands of essays. This is also an essay that will go to most universities, and must demonstrate a student’s fit for said university. The one UC application is submitted to as many as eight different campuses, and is therefore an excellent choice for students with almost any profile. In the last season, the UCs had four 350-word essays, and we will work to develop and polish all of them with the student. Many of our students apply to the UK, and we assist intensively with the 4000-character UK SOP that can be sent to up to five UK universities, including Oxford or Cambridge. Through group workshops, we provide 12th-graders with the inspiration, insights, and instructions they need to start thinking systematically about various aspects of the application process, especially the essays. We provide numerous examples of successful essays from our own former students, and discuss how each essays succeeds in communicating unique value to admissions officers. In addition to covering strategies for brainstorming narratives for a variety of essays, workshop will also cover items such as recommendations, so students know exactly how to go about selecting recommenders and obtaining recommendations from them. Finally, many universities offer students interviews, which serve as an important final check to determine whether the students achievements are genuine, as well as whether they can present themselves and their achievements clearly and powerfully. Therefore, it is critical that students prepare for the interview in a comprehensive manner, anticipating and addressing a range of questions, as this is often the final hurdle they must jump over for admission to top universities. Our program increases the chances of merit scholarships for students; many former students have received full or partial tuition waivers based on their performance in high school.